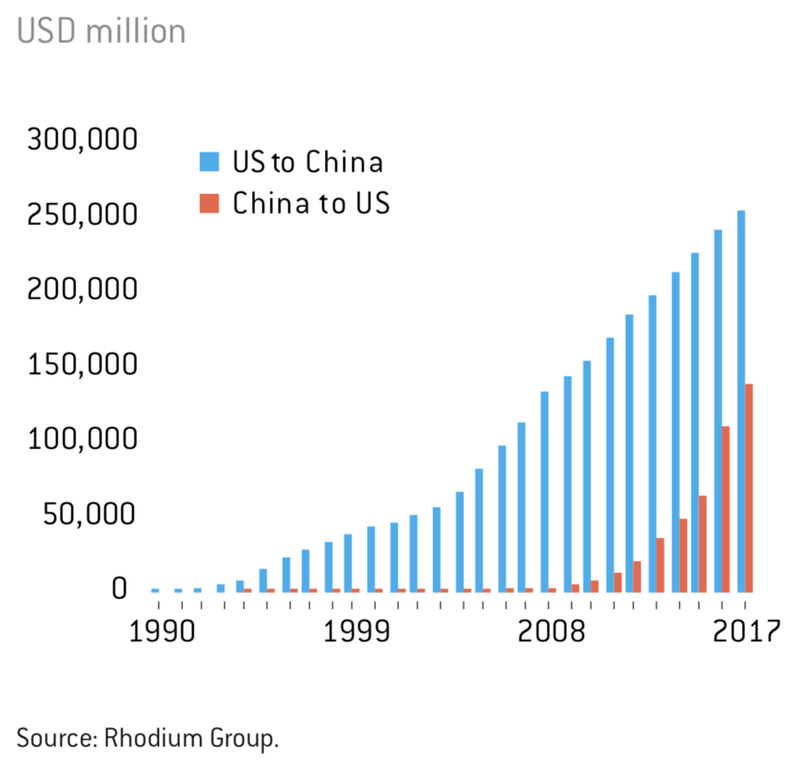 With the Trump Administration making repeated moves in its trade agenda, China has appeared as one of the key targets in Washington’s attempts to regain some semblance of trade balance. 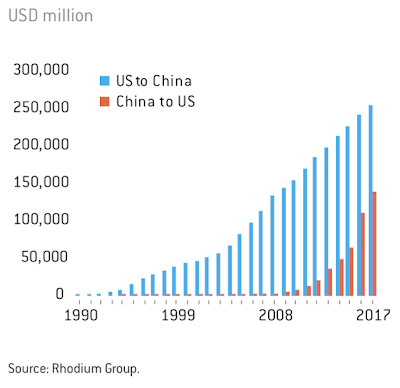 A study by the National Committee on U.S. – China Relations and the Rhodium Group looks at a little-discussed aspect of trade between China and the United States, that of foreign direct investment (FDI) in each other’s economies. By declaring China as a rival in both trade and militarily, the United States strategy has become strongly confrontational, similar to how trade and investment with Japan were viewed in the 1980s. By the end of 2017, the total cumulative value of U.S. foreign direct investments in China surpassed $256 billion, hitting $14 billion in 2017. 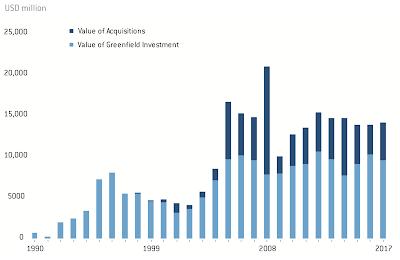 As well, U.S. firms tend to prefer to invest in greenfield projects, those projects which are built from the ground up rather than acquisition of existing facilities (brownfield). By the end of 2017, almost 1,400 U.S. companies had invested in China with 400 firms investing more than $50 million each, 300 firms investing more than $100 million and 65 companies investing in excess of $1 billion. In 2017, the largest U.S. foreign direct investment in China was in Information and Communications technology where U.S. companies invested a total of $4.1 billion. By the end of 2017, the total cumulative value of Chinese foreign direct investments in China reached $140 billion, well below the $256 billion that the U.S. has invested in China. One issue that is slowing Chinese investments in the U.S. is increased investment screenings by the Committee on Foreign Investment in the United States, largely as a retails of changing threat assessments. 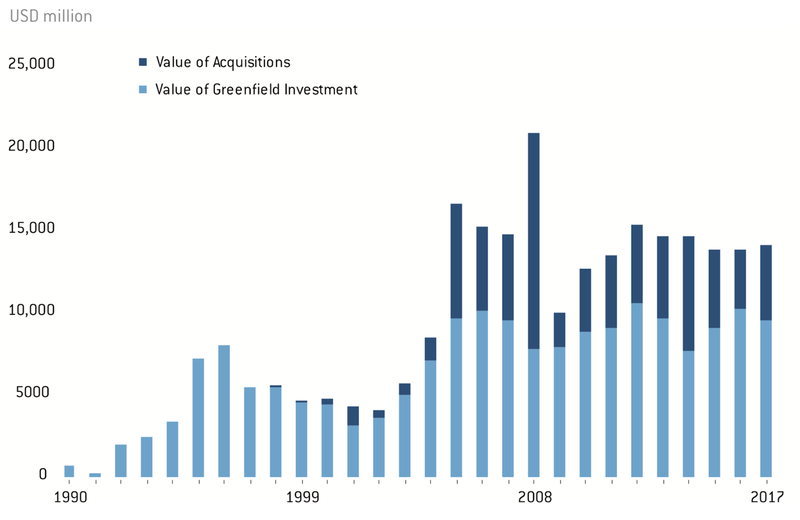 As well, in contrast to American firms which prefer to invest in greenfield projects, Chinese firms prefer to invest in existing companies through acquisitions. In 2017, the largest Chinese foreign direct investment in the United States was in Real Estate and Hospitality where Chinese companies invested $11.0 billion, nearly one-third of China’s total FDI in the U.S. This is largely due to HNA’s massive $6.5 billion investment in Hilton Hotels. 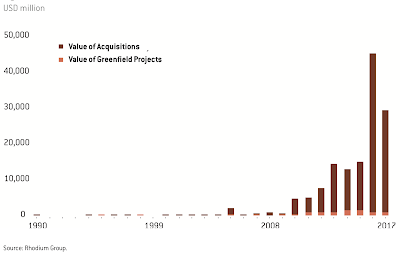 The nearly one-quarter of a trillion dollars worth of investment by American companies in China, primarily in new developments (i.e. 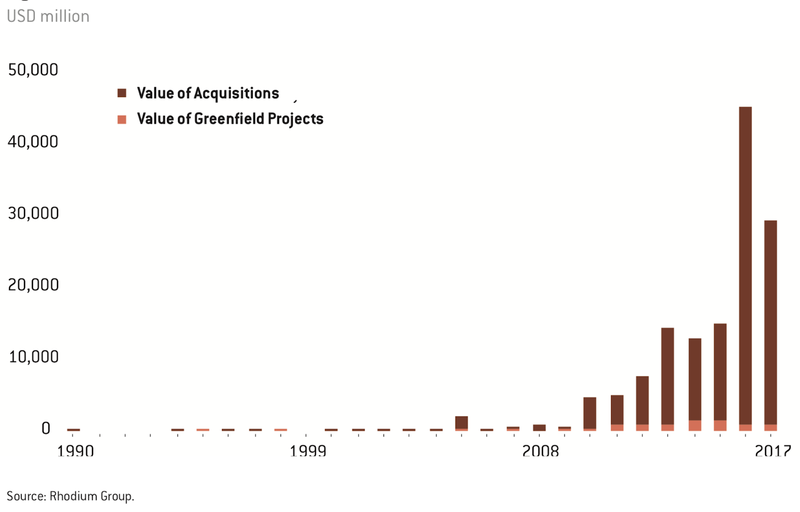 greenfield projects), is one-quarter of a trillion dollars worth of investment that is not taking place in the United States. While we will never know, it would be interesting to have an actual assessment of the number of jobs that an investment of that size would have created in the United States. Instead of investing in “the homeland”, Corporate America has chosen to create jobs in China where labor costs are far lower than in the United States. Perhaps when it comes to America’s trade and manufacturing problems, Washington really is barking up the wrong tree.